Need new apps for your favorite device? Here are 22 iPhone, iPad and iPod touch apps that just hit the App Store. 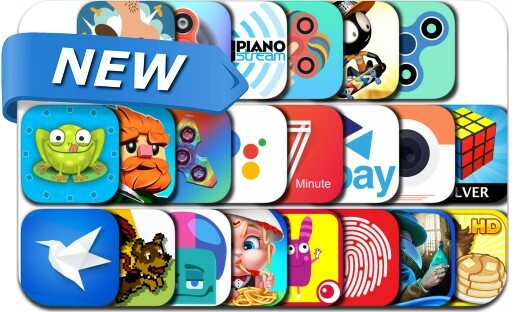 This new apps alert includes The Google Assistant, Dig Out!, Miles & Kilo, Papa's Pancakeria, Clock Hop, 7 Minute Workout, Jumping Joe!, Stickman Skate Battle, Chimeras: Mortal Medicine, Fidget Spinner, Cube Solver for Rubiks Cube, App Login and many others. Cyclops Ruins - funny game! !